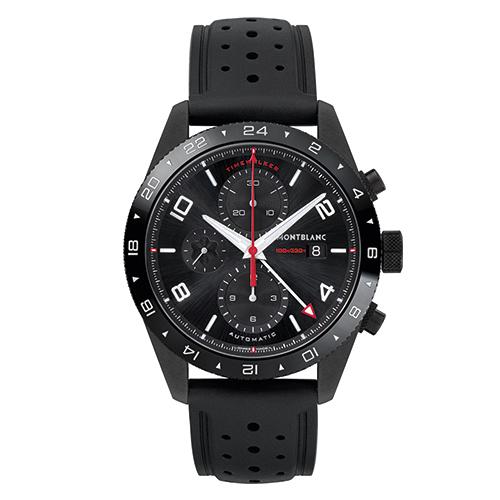 Automatic chronograph with 24 hours, second time zone indication and date display. Silver guilloché dial with red gold-plated hands and numerals. Steel with black leather strap. 42 mm. 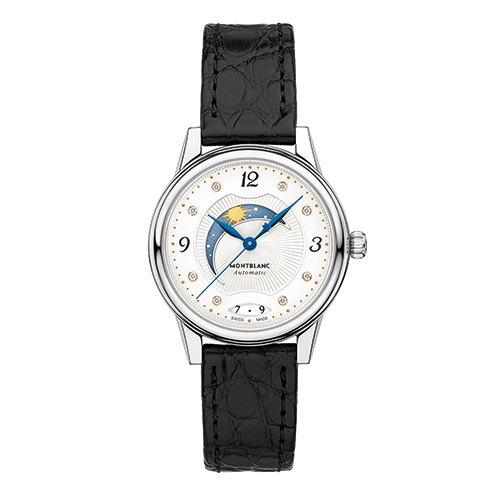 Automatic with self-winding mechanical caliber. 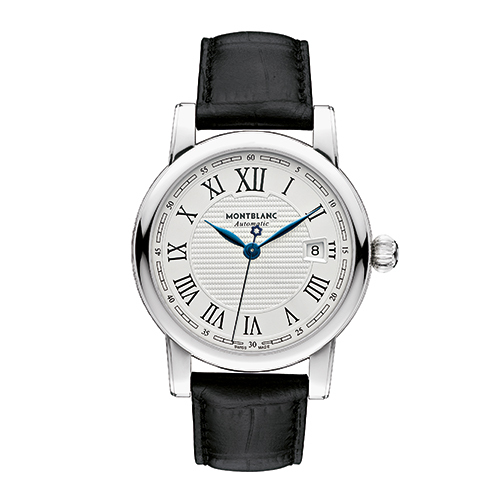 Silver guilloché dial with black Roman numerals. 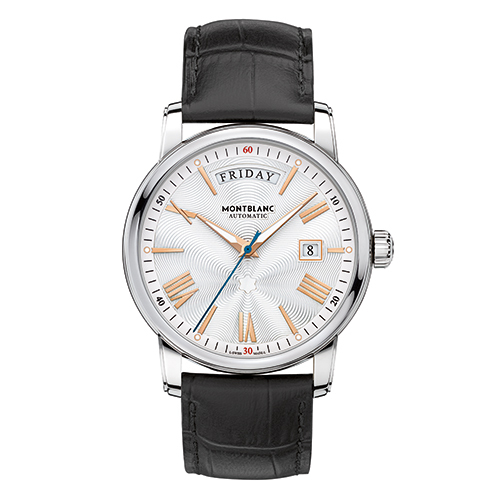 Steel with black leather strap. 39 mm. 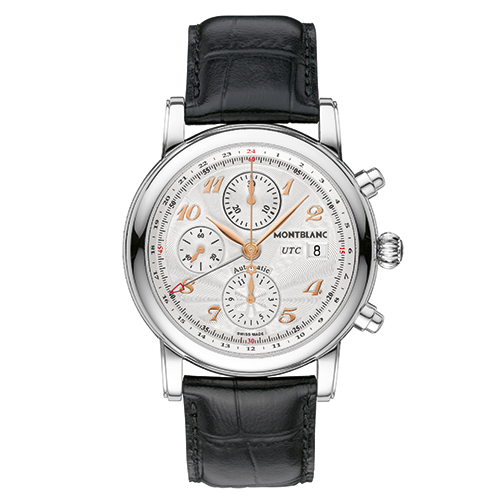 Automatic, manufacture complication, world time indication with integrated day and night display. 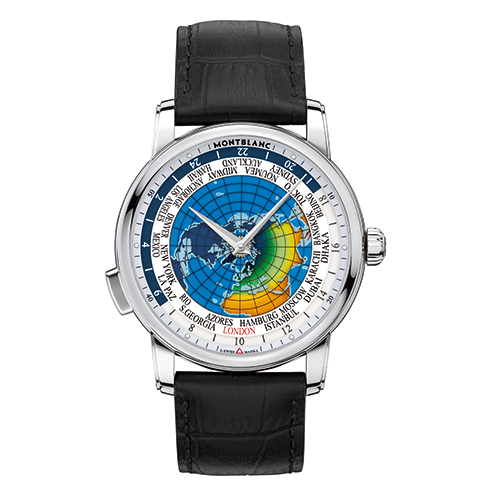 Sapphire crystal dial with city names and world map. Steel with black leather strap. 43 mm. Automatic caliber 24.18 with indications or day and date. 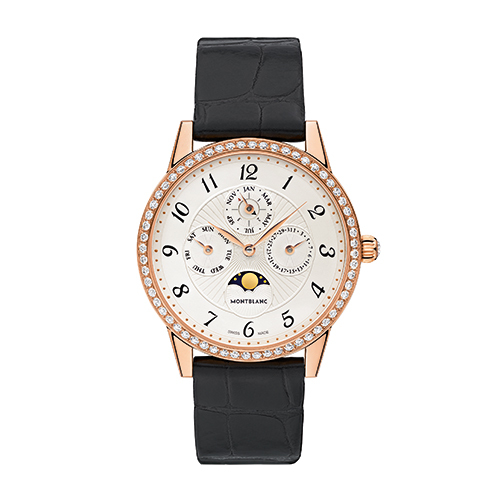 Silvery-white guilloché dial with red gold-coated indexes and numerals. Stainless steel with black alligator leather strap. 40,5 mm. Stainless steel, small complication, day and night indication, guilloché dial with with Arabian numerals and diamond indexes. 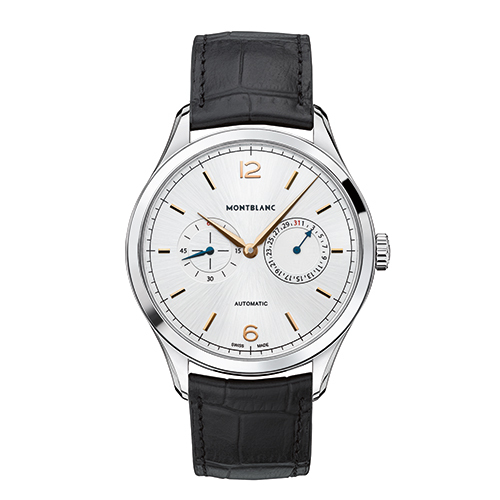 Stainless steel, automatic, caliber MB 24.23 with twin-counter manufacture complication, subdial date aperture, seconds subdial. 40 mm. Black steel. Automatic with UTC function. Rubber strap. 43 mm.